Rent this gorgeous 5 bed pool home. With a private pool, spa and games room. 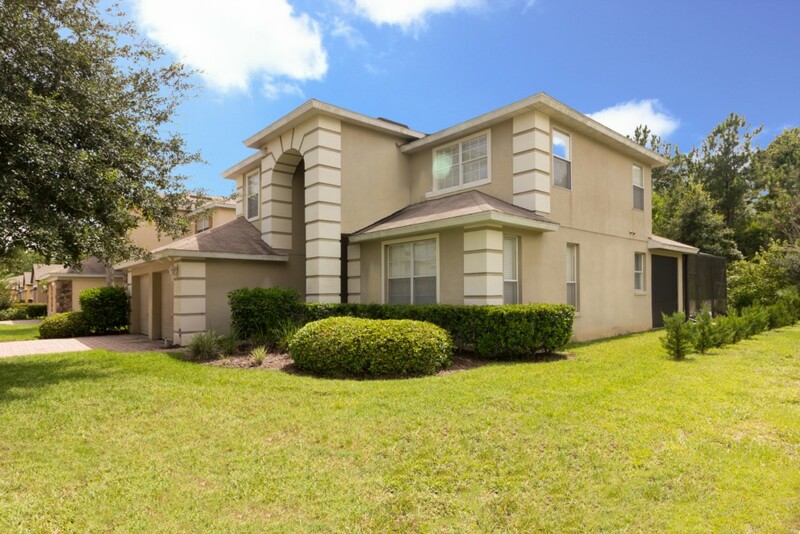 This home located in the Davenport Area of Orlando has everything you could possibly wish for. Walk into this lovely 5 bed two story home and feel like you are home from home! Step right through the double doors into the large Master suite with King Bed. Step left into the large open plan family room with large flat screen tv and luxurious lounging sofas. This room opens out into a spacious dining area and a kitchen with breakfast bar and dining nook. The kitchen has a large fridge freezer, dishwasher, stove and all the pots and required to making cooking a breeze. From the breakfast nook take a stroll outside onto the covered lanai and watch the family enjoy the deck, pool and bubble spa. From the deck you have a conservation view. A 1/2 bathroom is also located on the ground floor. When entering the 2nd floor there is an upstairs games room and 4 spacious bedrooms - a jack and jill bathroom and a further family bathroom - room for everyone. This home has wifi, flat screen tv's in all rooms and situated in a gated community. Testimonials - Diego - March 2018 - This place was amazing, clean, greatly decorated, close to parks and stores. The host was wonderful in answering questions I had in a timely manner. I would definitely recommend this location and will be staying here in the future!!! See what our guest Monica had to say August 2015 - "The house was very clean and makes us feel like at home. The neighborhood was quiet, so for a family with kids it is really perfect. Thank you so much."